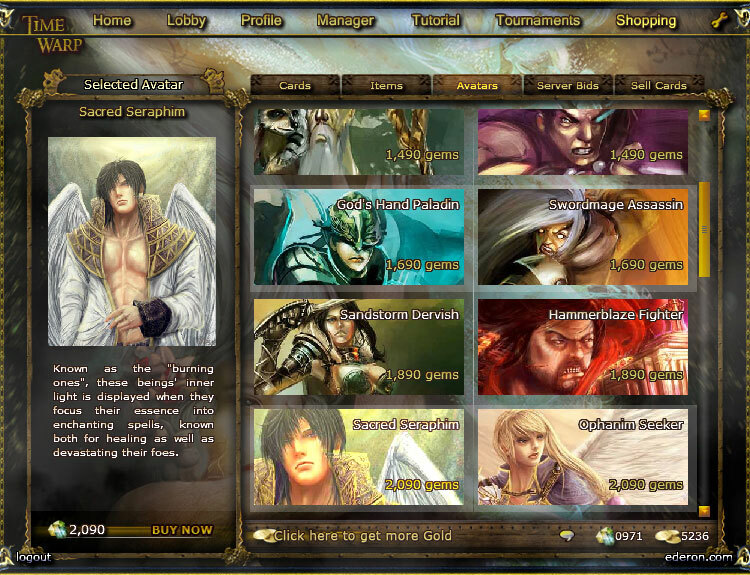 Ederon is a free browser card game where players can play against other human players. 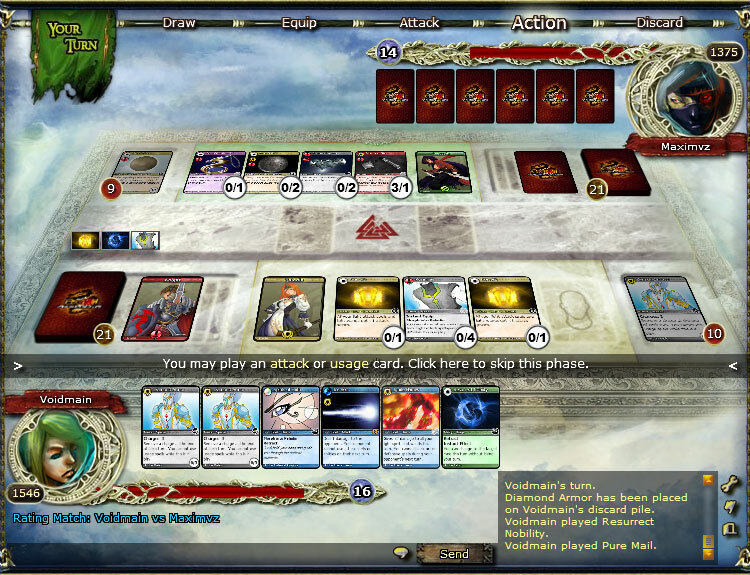 Collect the best deck you can get, trade cards with others, enter tournaments and use several equipments, skills and spells. 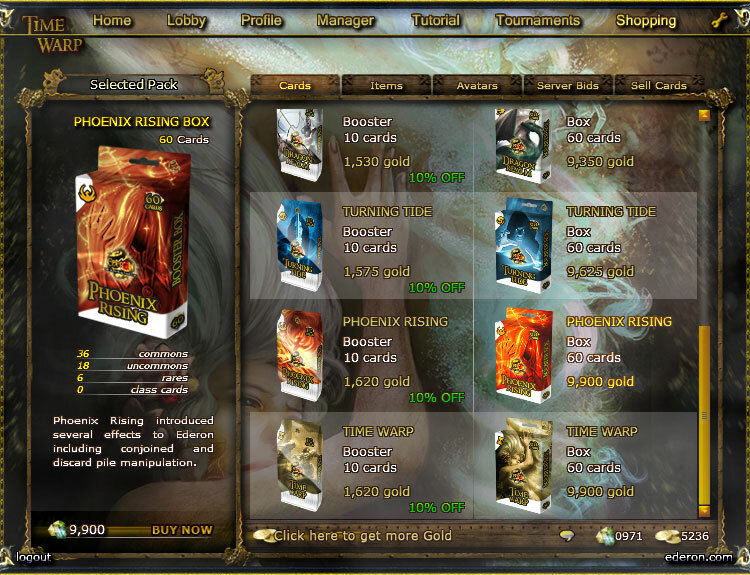 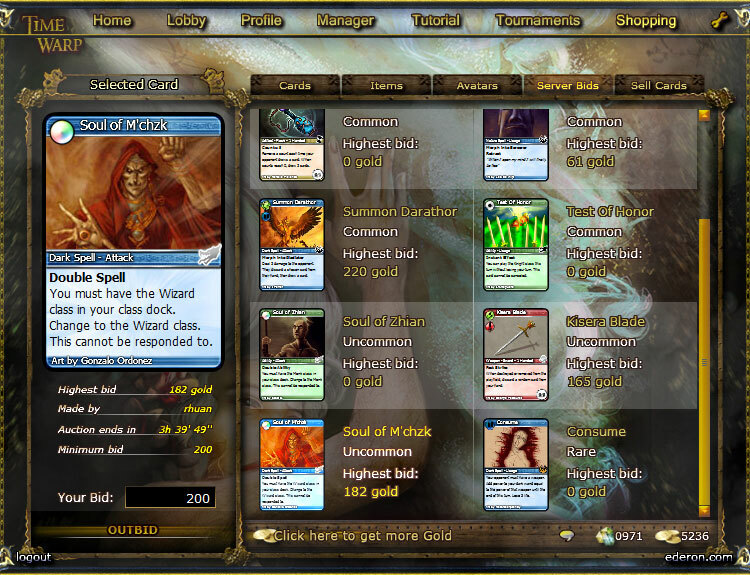 This a compelling online collectible card game that players are sure to enjoy.